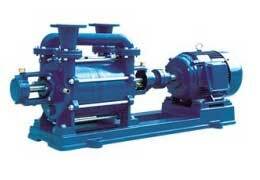 Liquid Ring Vacuum Pumps of optimum quality is available with us. The Liquid Ring Vacuum Pumps are manufactured with high-grade components and parts and technically advanced machinery and are used where evacuation involves extreme moisture and water contents. The Liquid Ring Vacuum Pumps are highly popular among the clients in the domestic and international market and are available at the most reasonable rates. Model Suction Capacity CMH Recommended Motor HP Speed RPM Water Consumption LPM a b c d e f g h i j Fig Approx Wt. Bare Machine Kg.